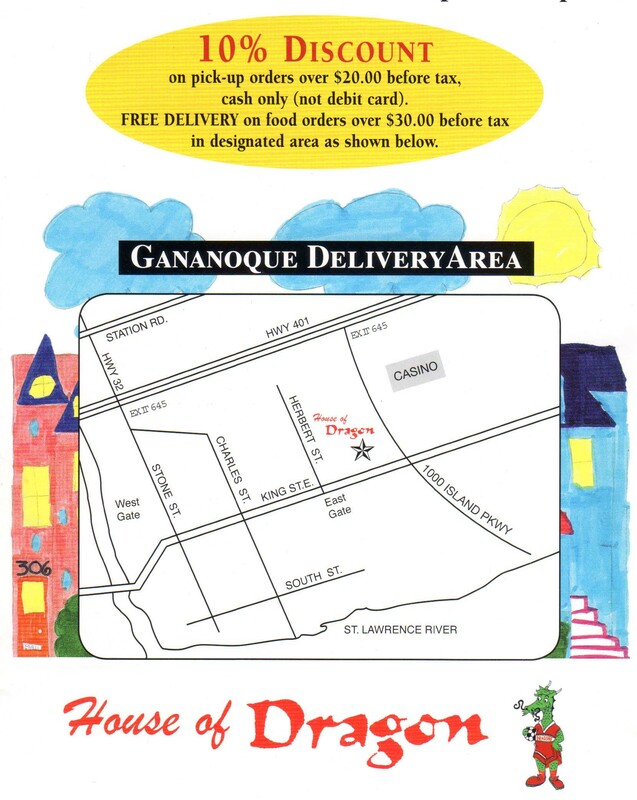 Orders must be over $30.00 pre-tax – delivery area on this map. Order must be over $20.00 pre-tax – cash only, please. Please call us ahead of your visit and a buffet will be set up for your tour bus patrons. The bus tour can have a buffet outside of the regularly scheduled buffet hours. The food on our menu is freshly prepared and individually cooked. Let us know of your preferences in advance and we will be glad to alter the degree of spice or any ingredient, for you! 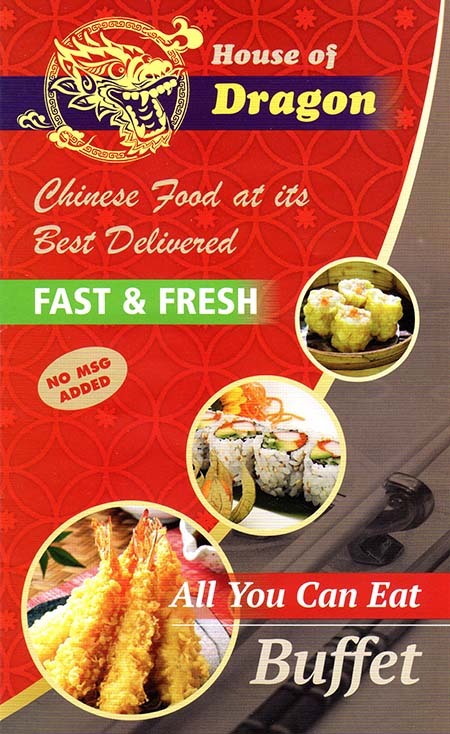 Please be advised that our menu has No MSG added.